Finding quality garage door replacement services in Dayton, OH, is a task that shouldn’t be underestimated. Considering that your garage door is the largest door to your house and it’s usually the first exterior part of your home visitors see, you’ll want to choose a company that can install your new garage door expertly. That’s where 31-W Insulation comes in. If you need help deciding which garage door option is best for you, we can come to your home at your convenience for a free consultation. After you’re comfortable with your selection, we will send out our factory-trained technicians, never subcontractors, to install your replacement garage door, ensuring the work is performed with precision that adheres to the high standards you expect. 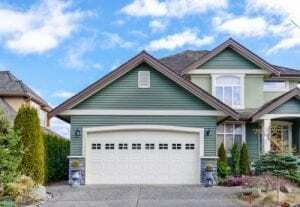 For more information on how to start the process of beautifying your Dayton, Ohio, home with a replacement garage door from 31-W Insulation, contact us today.